In this 2 hour workshop, you will learn the art of macramé with Samantha of SKC Decorative Arts, a local Comox Valley fibre artist. 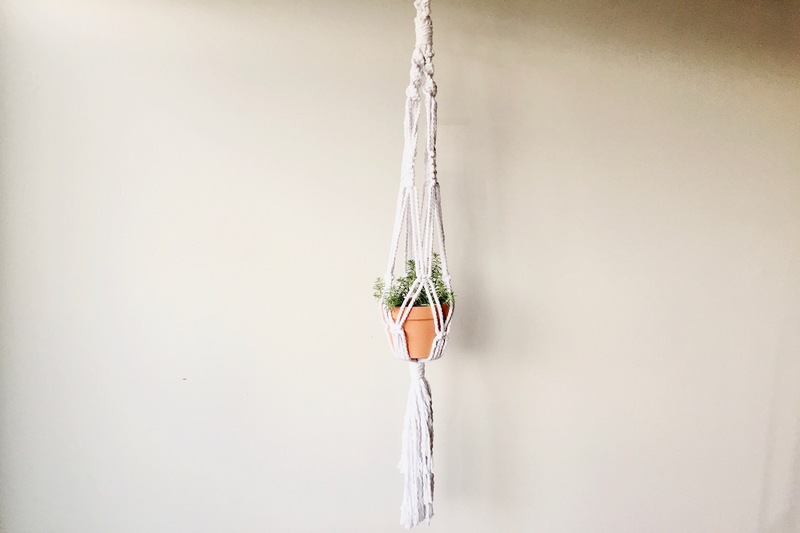 Learn basic macramé knotting techniques and in the process create your very own macrame plant hanger! This workshop includes a kit with all of the supplies you need to start your macrame journey. You’ll meet new friends, master a new craft and leave with a beautiful macramé plant hanger that will add texture and coziness to your home! All supplies required to learn and go home with your very hanger. Open to adults of all skill levels including those with no experience. Just bring yourself, but wear clothes that can withstand the elements (i.e. glue, paint, etc.) of a fun, creative art studio. Stay up to date on new classes, get exclusive deals and tips from our instructors.